MACKAY seniors claim Queensland premier Campbell Newman was "frightened" of a pensioner backlash after his backflip on concession assistance. The premier promised in parliament that Queensland seniors would be fully covered for concession shortfalls left when the Federal Government scrapped its partnership with state governments on pensioner and senior concessions. Whitsunday MP Jason Costigan flagged the decision yesterday morning with his thumbs-up tweet saying that he was pleased to see the Newman government would reinstate the full level of concessions for our pensioners and seniors. "... now we are going the whole hog," Mr Costigan said. "The Feds may have done the dirty on our battling pensioners but not the Queensland Government." 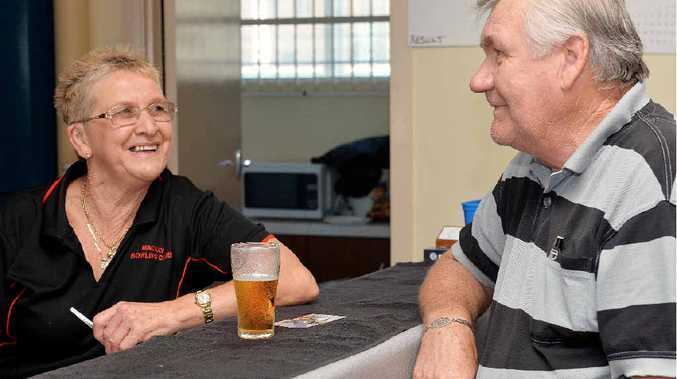 At the Mackay Bowls Club a few seniors dryly commented that the premier's change of heart was because he feared their reaction at the next state election. Vietnam Veteran Ray Higgins receives a military pension and said the decision was good and the right one. "Campbell was frightened at the ballot box if he did not step in," he said. "He got very scared as there was a lot more people against that than he first realised. "He's backflipped on it but I'm still surprised that he's done this." Bar attendant Leslie Pullen is raising her grandson and said she was "happy for sure"as she lost some part of her pension when he turned 10 and had to go on Newstart. As a result she receives $200 less so she must work a few hours each week. "I would have lost again," she said. "It was the first time that I was able to use these concessions and then I thought I'm going to lose again." Mr Newman told parliament that "pensioners and older Queenslanders have told us that they simply can't wear the costs." "We are acting in the space of two days to reinstate the full level of the pensioner and senior concessions," the premier said.